Action Figures – Issue Six: Power Play and Action Figures – Live Free or Die: Edited, formatted, awaiting front cover art. Tricia sent me a very rough rough over the weekend, and it looks like she’s going to have some fun with it. The central figure, by the way, is Sara, who is also the central figure of the story. Action Figures – Issue Eight: Crawling from the Wreckage: First draft finished! Mostly. I still have to put a button on the very last scene, but I’m going to call it done for now so I don’t waste time agonizing over one or two final paragraphs. 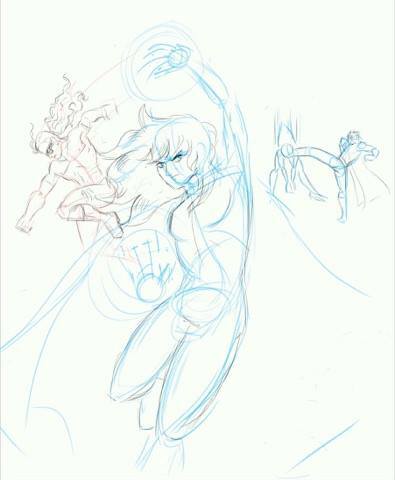 The Adventures of Strongarm & Lightfoot – Blades of Glory: And here’s what I’ll be working on next! I have a fun concept in mind for the plot, so expect another rollicking adventures with Derek, Felix, and company later this year! Nothing to report here, citizens.